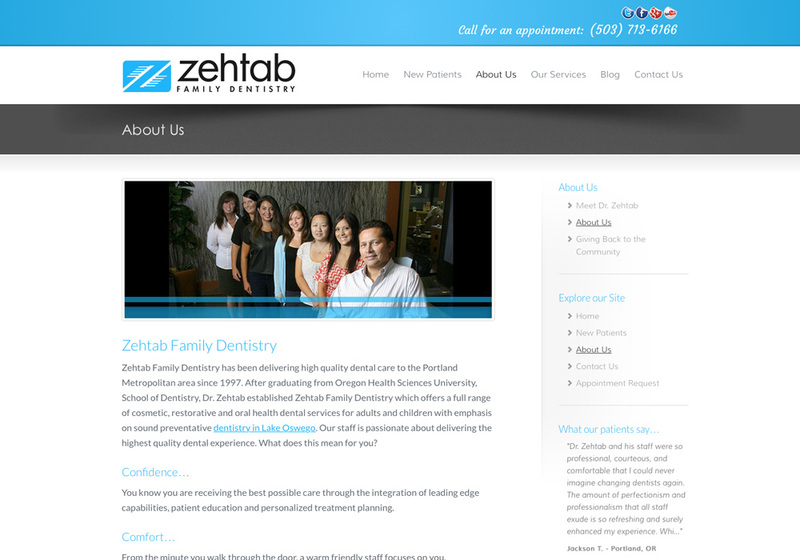 Located in Lake Oswego, Zehtab Family Dentistry is in a very competitive area for dental practices. 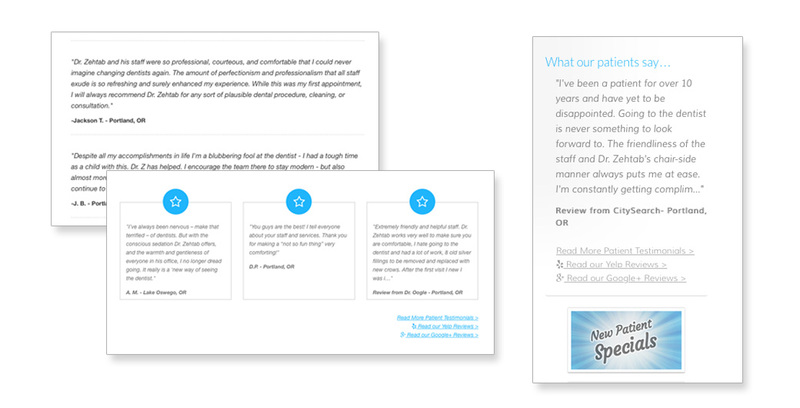 Because of this, they knew that they needed to have a perfect website to show why they are better than their competition. 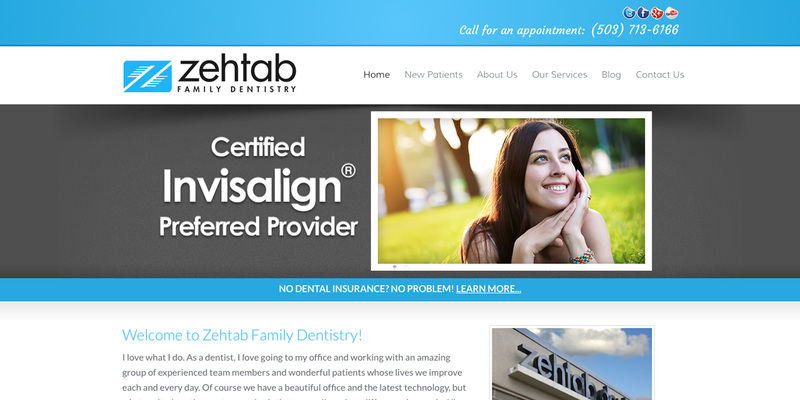 When they teamed up with us, we reworked their website and ultimately got them to the #1 spot in the major search engines. 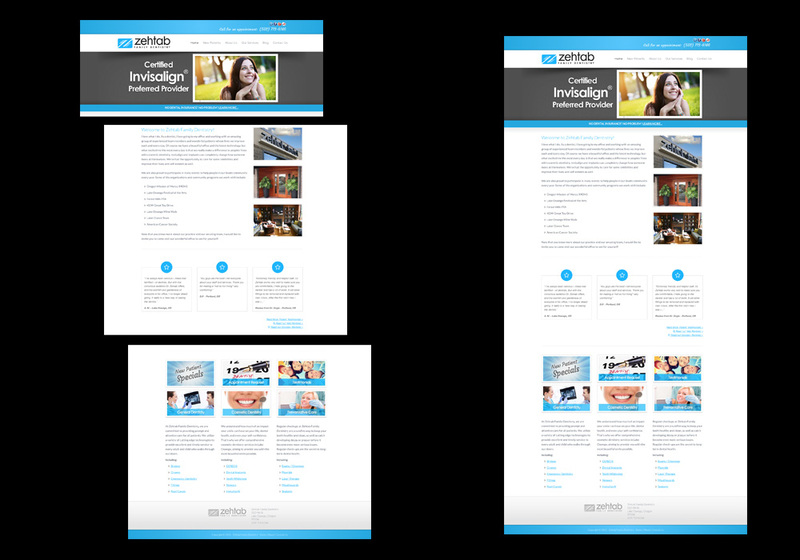 To match the cleanliness and beauty of their office and existing marketing materials, we stuck with the blue colors and created very subtle shadows to give the whole website a dimensional feel. 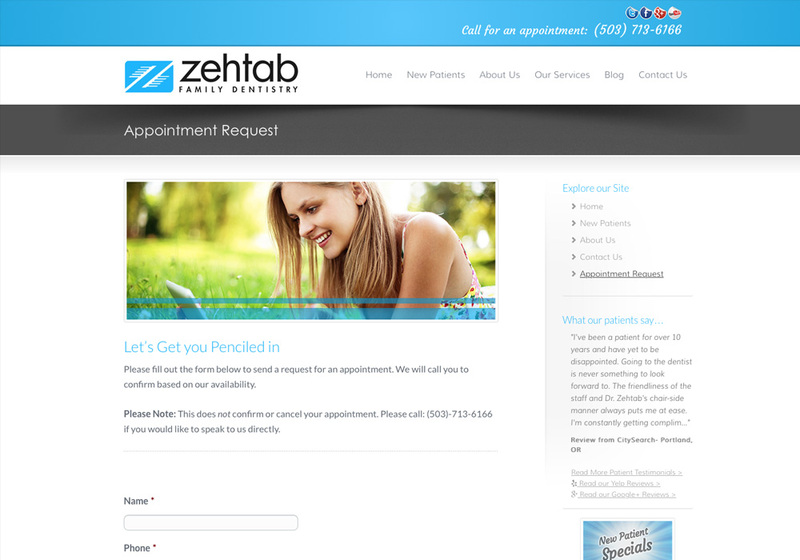 This delivers a very impactful design that stay in line with the level of service that they provide. 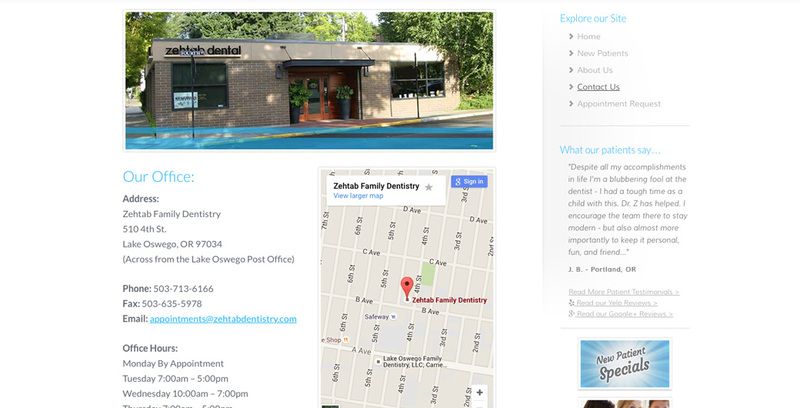 The dental practice has a really happy patient base that regularly is leaving reviews online and on their website. Because of this, we sprinkled review sections throughout the site and gave links to 3rd party review sites that visitors can go check out. 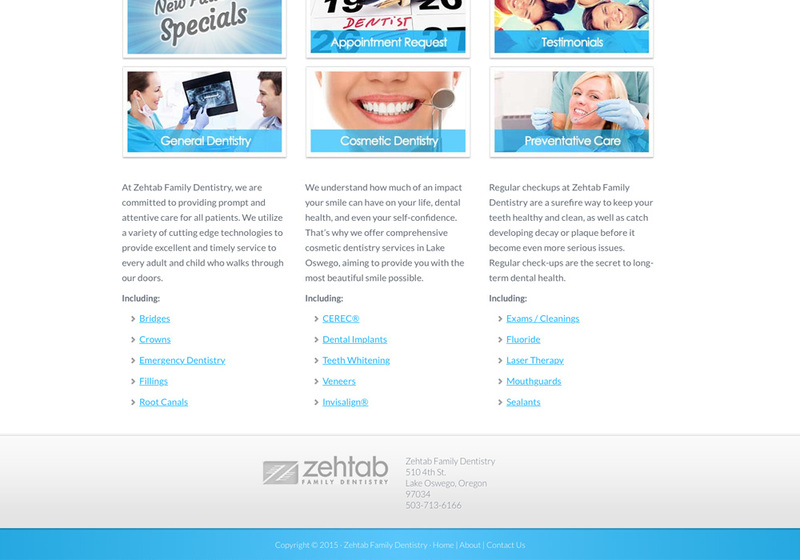 After speaking to Zehtab and looking at the analytics, we chose the six most visited areas on the site and made those standout on the homepage. 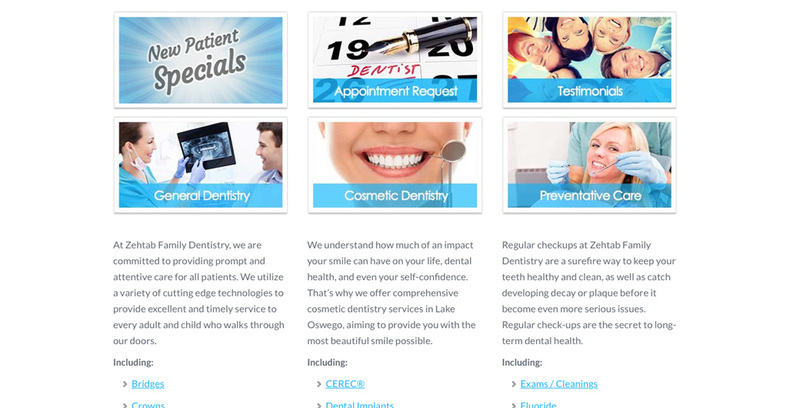 This has increased the number of new patients that they receive on a monthly basis and has made the website a true marketing arm of the dental practice. Like what you see? For any further information send us a message or call us!